Wals-Siezenheim is a community directly on the western border of Salzburg city. In the past 20 to 30 years, it has developed into the shopping mall of Salzburg - accompanied by a rapid growth in the economy and population. Wals-Siezenheim, known for many years only for its vegetable farms, has a population of 12,000 and prides itself for being the biggest village in Austria. 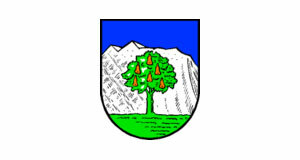 In 1947, the population of Wals-Siezenheim was 1,000. Financially, the presence of major shopping areas and companies has been very good for Wals-Siezenheim, it belongs to the wealthiest municipalities in the country. However, almost all village atmosphere and other authenticity has long evaporated between factories, malls and other commercial areas. Wals-Siezenheim is close to the airport of Salzburg and to the motorway. It is linked to the capital via the city bus network. Both these factors created very favourable conditions for Wals-Siezenheim′s economic standing. The sad thing about the village is that it would have had a good starting position for becoming a pretty suburb of Salzburg: Major sightseeing attractions like the palace of Schloss Klessheim can be found here. The football stadium of Salzburg is at Wals and so is the airport centre, an outlet shopping mall, as well as the Schwarzenbergkaserne, the biggest army base of Austria. Large factories such as a parquet floor company can be seen from the motorway. Wals-Siezenheim also has a small village centre with a parish church. Here you will find a stone cross that might date back to the early 10th century, the oldest artefact of the village. However, the origins of the community date back to Roman times, as Siezenheim was named after a Roman nobleman. Very recently, Wals-Siezenheim got a link to the communal railway network; this will help to widen bottlenecks in public transportation that develop here. Note that the Europark, though already on Salzburg territory, is also just by Wals-Siezenheim. It is one of the biggest shopping malls in all of Austria. International visitors of Salzburg are unlikely to make it to Wals-Siezenheim. However, if you live in Salzburg for a longer period of time, you will almost inevitably end up there once in a while to buy some stuff. Students and other Salzburgians on a budget should notice the large IKEA that is associated with the Europark. From there, you can walk to both the Salzburg Stadium and Klessheim. Turn around and note that view to the Mülln area of Salzburg: Once before the economic boom of Wals-Siezenheim, this was all part of an enormous Baroque ensemble, in which the lane from the palace was connected with Mülln in s straight line. However, without an IKEA, Salzburg would be incomplete.